Nearly 2,000 businesses have applied to win grants. Many types of business applied: Food & beverage (our favorite! ), e-commerce, manufacturing, entertainment and more. Among the businesses are several food trucks and a cart. Of course that excites us! 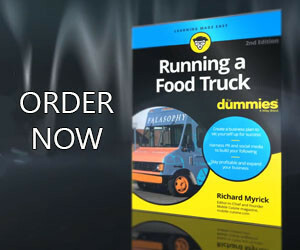 We encourage you to vote for your fellow food truck business owners. You can vote once daily. Here’s a list of them with links to their voting pages. Mar. 31: The final 100 are announced. In the words of Al Capone, “Vote early and vote often!” Good luck to all of the businesses that have entered – especially the food trucks!